The functions included in this template use two news sources - Investing.com and Dailyfx.com. The template doesn’t use DLL. Thank you Yurij, I did not know where to start making news release's part of my EA's. This should help greatly. This is great. I want to put a news filter inside my indicator, could you explain/help me to do it ? Also is it possible to add forexfactory news aswell ? 1. 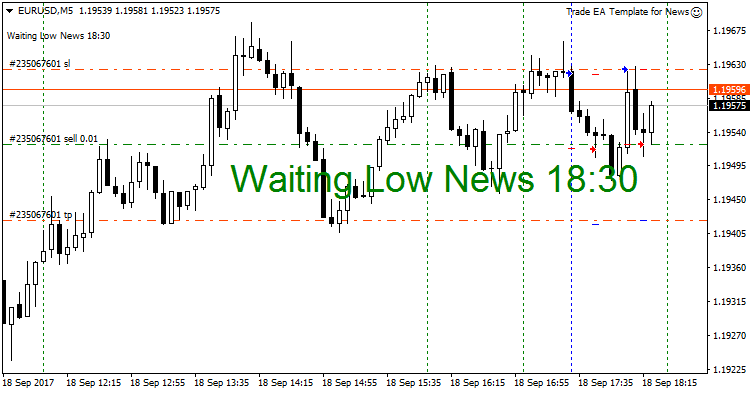 Close all winning trades prior to news release (say 1 hour). 2. Resume trading after news release (say 1 hour). 3. Will not trade prior to news release say 3 hours. I have been studying your EA for quite a while and still can't successfully integrate. I only you could include a simple example to illustrate. I think it will just be an addition of few lines which is very simple for an expert like you Yuri but a headache to us who just started learning MT4. I just started dabbling on MT4 for a couple of months and the EAs I created are simple. They work under normal conditions except during the release of news. If only you could show an example it would be a great help to avoid my positions being overrun by news releases. Thank you in advance Yuri. Great work. //signal for entry. I wonder how I will insert this to your EA correctly. This EA works exactly as I expected : provides a heads up sign before the news release, displays an indicator on the chart, provides a template for custom trading strategy. For me just as indicator, its is already fine. 1- Synchronize the events with a Google calendar. 2- Implement a volatility strategy mainly opening up a straddle position triggered a few seconds before the release. 3- Once a position is opened, implement a hedging strategy. Many thanks for sharing your code with us. Exactly. I have the same problem. I tried to convert it to MQL5(some code's fixed),but it'z NOT work..
so,could you indicate/make some code to convert to MT5?